XBRL Taxonomy is the heart of any XBRL implementation program. It models what an entity is expected to report under an XBRL filing regime. While the XBRL taxonomy represents nothing but the underlying reporting requirements, the manner in which it gets modelled has to be understood by all the stakeholders. Hence,not only the filer community, but also software vendors, data consumers and service providers need to be aware of the XBRL taxonomy. It may not be practically possible to involve all the stakeholders in taxonomy development process;however it is always useful to have at least a few representatives from each stakeholder group who can voice their opinion regarding the taxonomy. This helps to a certain extent in addressing their concerns and incorporating their views in the filing program. Taxonomy Review Process: Whose responsibility? 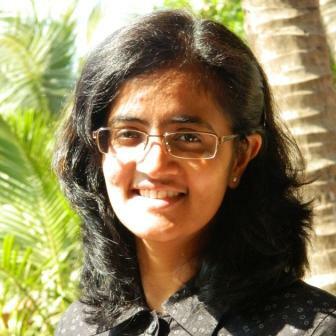 The expertise and interest area of each of the stakeholders is different and hence are the review areas. The review areas can be broadly grouped into two categories – taxonomy content and taxonomy modelling. Taxonomy content, as the name suggests, refers to the reporting requirements that are included in the taxonomy, while taxonomy modelling refers to how XBRL specifications are used to model this information in the taxonomy. 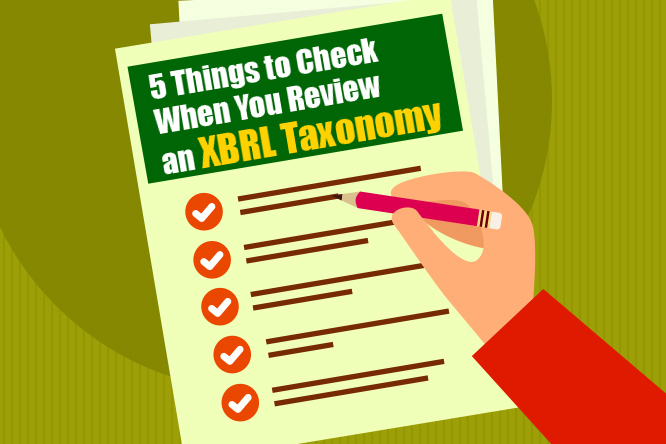 XBRL Taxonomy Review: What to look for? So what is it that you need to look at in the taxonomy when it comes to review? The concepts included, their definitions and references in the XBRL taxonomy. Even for reviewing the taxonomy content, it is always useful to have a good understanding of the fundamentals of XBRL, as viewing at the concepts in isolation may not always make sense. The taxonomy content is usually of importance and interest to the business users. While reviewing, one also needs to check whether all the relevant disclosure requirements are included in the taxonomy. The XBRL properties defined for the concepts are correct and meet the requirements. For example, if the requirement is to report the amount of gross profit and the margin in percentage, then the taxonomy should have different elements and its type should be defined as monetary and percent respectively. There may be additional properties defined or a fixed list of values specified for some concepts. This also needs special attention during a review. Data modelling choices,which are made in the taxonomy. XBRL offers a wide range of options, each having its own pros and cons. Taxonomy developers have the flexibility to use all or any of the options. The data modelling should be reviewed by technical as well as business users. While looking at the data model, it should be seen, how it reflects the reporting need. For example, if the requirement is that details of all directors viz. name, date of birth, address, designation etc. are to be provided, then the data model used should have the flexibility of capturing details of all the directors; be it 10 directors or 100. The data model should be robust enough to meet the different reporting scenarios. Validation rules inbuilt in taxonomy. There are different possible ways to build checks in the taxonomy, which will ensure correctness and accuracy of data. From basic arithmetic checks to complex business rules, a range of rules can be built within the taxonomy framework. A close look at these validations will help to assess the robustness and the provisions made for exceptional scenarios. It should be noted that all taxonomies do not model business rules within the taxonomy and may choose to publish a list of validation rules instead. Either way, taking a look at validation rules built in or based on taxonomy, is very important. As a good practice, taxonomy developers usually create a style guide, which documents the design principles and conventions followed for the creation. Adherence to the style guide, also falls under the scope of taxonomy review. The supporting documentation released with the taxonomy, should include all the information which is required to understand the taxonomy like details about custom components( if defined). These are the major areas, which should be touched upon while reviewing taxonomy. Once the taxonomy is reviewed and feedback from the public is incorporated, the taxonomy becomes ready for implementation. Additionally, getting the taxonomy recognized by XBRL International is highly recommended. At IRIS, we have been involved in the development of taxonomies for a number of countries apart from taking an active part in reviewing taxonomies that are released for review and comments. Having a wide exposure to different reporting needs, we have developed our own taxonomy creation best practices, and we use these as well when it comes to reviewing external taxonomies. Additionally, we leverage our large pool of in-house XBRL experts to create sample XBRL documents to test the quality of the taxonomy.